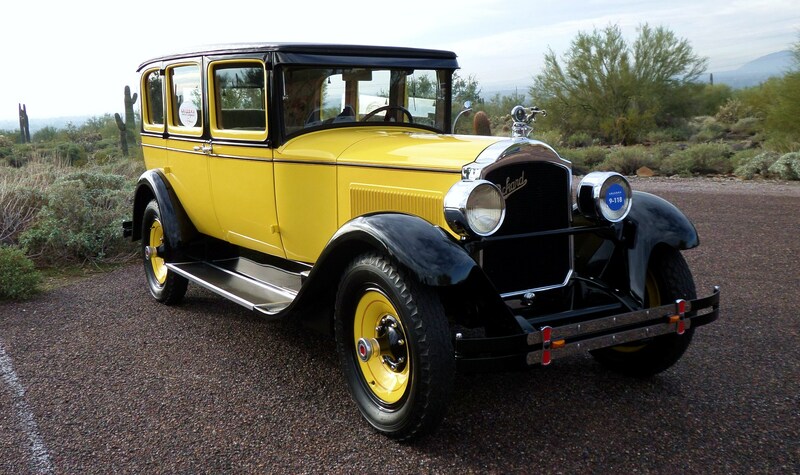 The bright-yellow 1928 Packard 526 sedan chugged sedately up the hills and through the desert scenery of Phoenix, Scottsdale and Paradise Valley. 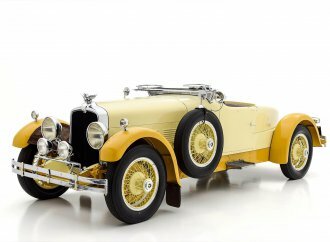 The bright-yellow 1928 Packard 526 sedan chugged sedately up the hills and through the desert scenery of Phoenix, Scottsdale and Paradise Valley, its five occupants reliving the arcane splendor of motoring from our grandparents’ day. 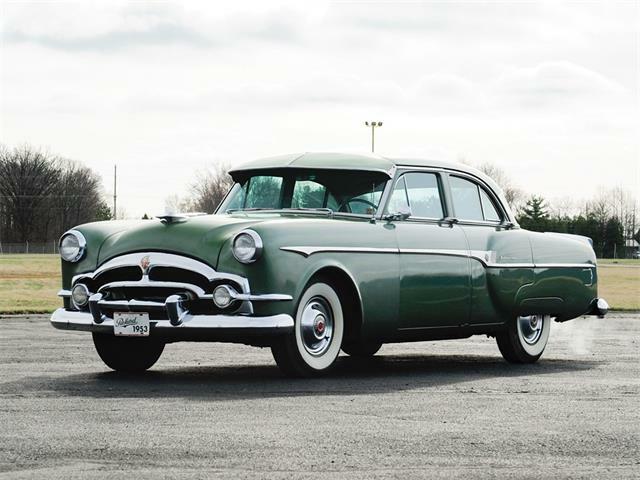 More-modern cars rushed past, seeming impatient and unruly compared with our regal passage amid the Packard’s mechanical rumblings and pungent scent of unfiltered exhaust. 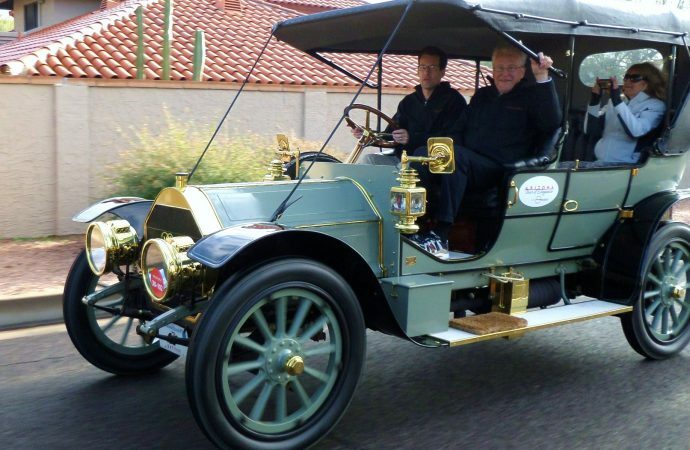 This was Monday, the day after the second annual Arizona Concours d’Elegance, when a number of the rare and exquisite classic cars shown at the Arizona Biltmore resort took part in a new feature: a driving tour. 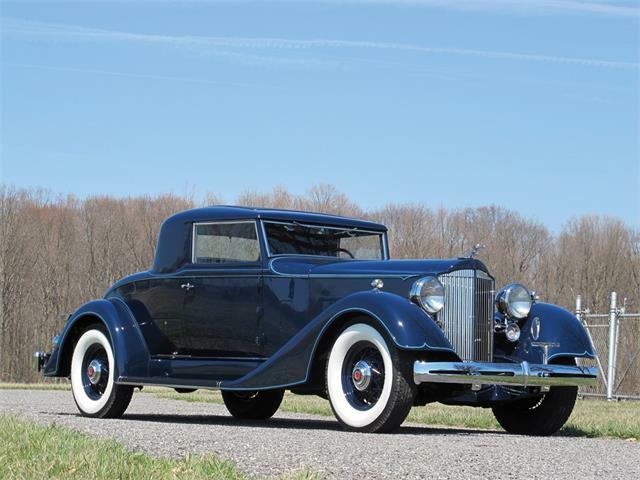 The participants included sports cars, race cars, luxury cars and such old timers as the upright Packard. Leaving the Biltmore, the historic parade organized by the Arizona Concours headed for Frank Lloyd Wright’s famous architecture school and tourist destination, Taliesin West in Scottsdale. 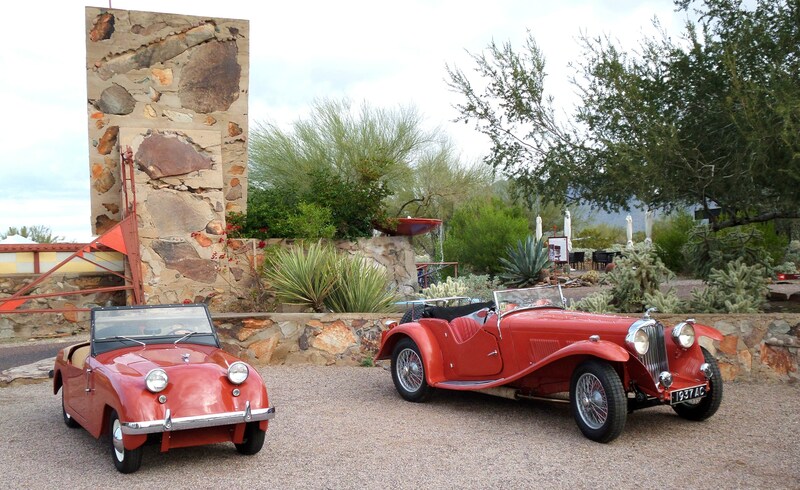 Next stop was a visit to Scottsdale car collectors Bill and Linda Pope’s spectacular private museum. Then it was off to another Frank Lloyd Wright landmark, the unique Phoenix home the legendary architect built for his son and daughter-in-law, David and Gladys Wright. My choice was to ride with a couple of the entrants to enjoy the full experience of the tour. 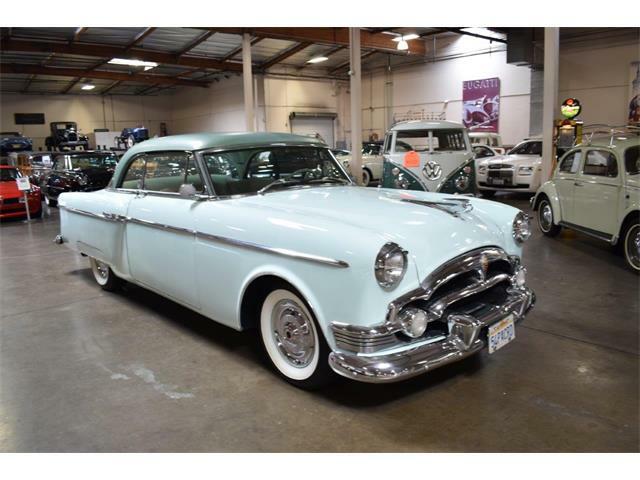 First off was the yellow Packard, in which I joined owners Paul and Pam Friskopp of Omaha, Nebraska, and Scottsdale, and their friends Don and Peggy Peterson of Fountain Hills, Arizona. 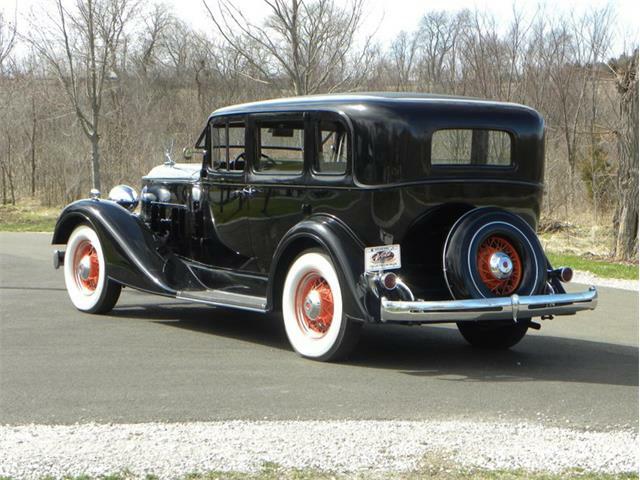 The ride was slow and stately, the ancient six-cylinder engine laboring mightily to move the big 5,000-pound sedan and five humans. 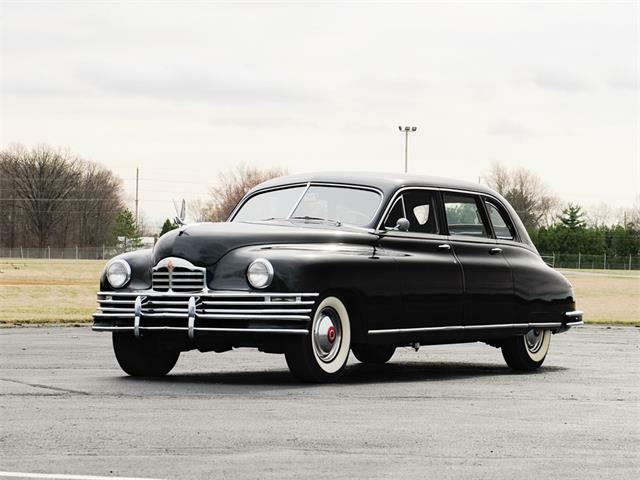 The non-synchro three-speed transmission, mechanical brakes and truck-like handling makes the Packard a handful to drive, but Paul wore a nonstop grin as we rolled along. Although, he said, stopping or turning requires some planning ahead. 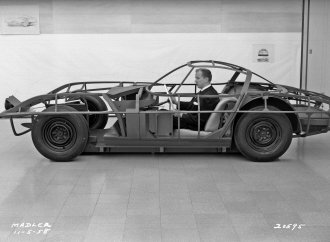 “If you compare it with a Ford or Chevy of the era, this has a very large and heavy ride,” he explained. 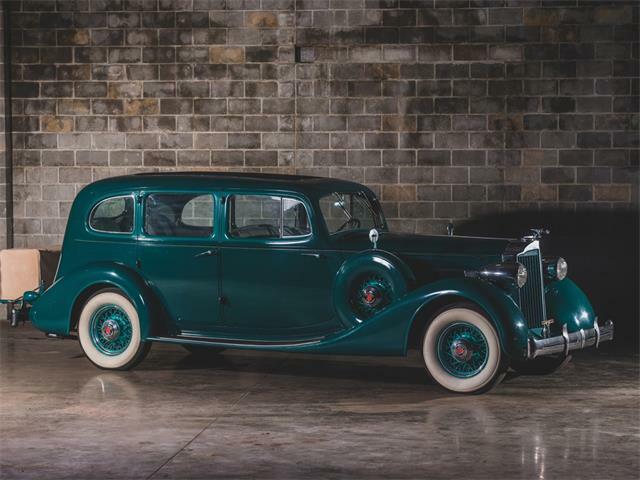 The Packard is a beautifully restored car, the work performed by the owner himself, who started out with a battered wreck in what he called “scrap-yard condition.” That’s a far cry from the car’s lovely appearance now, with an interior designed to coddle the passengers, at least those in the spacious back seat. I was sitting up front with Paul, where the surroundings were a bit more spartan, perhaps with a chauffeur in mind. 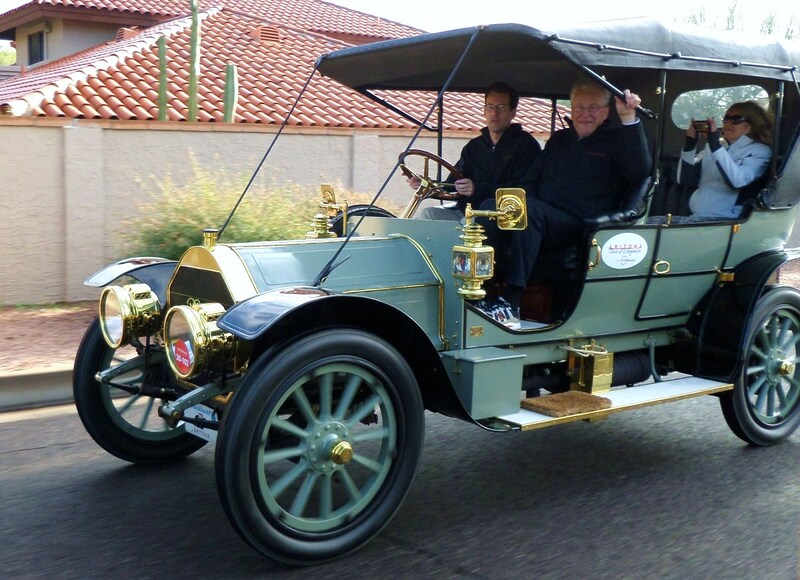 After the fun ride to Taliesin West, I switched to another classic vehicle that was nearly as different as possible from the veteran Packard. 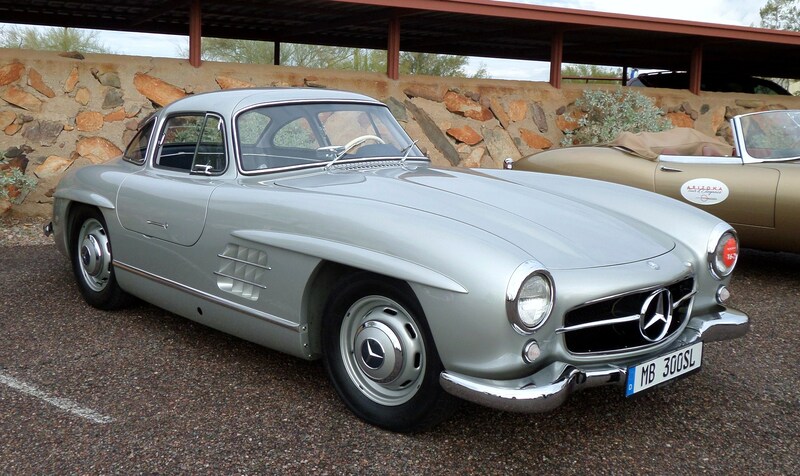 It was a powerful and evocative 1954 Mercedes-Benz 300 SL gullwing coupe, but not just any gullwing. 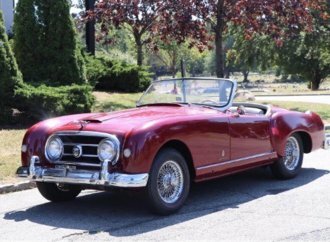 This was the first one ever sold to the public, and its first owner was none other than famed American sportsman Briggs Cunningham. 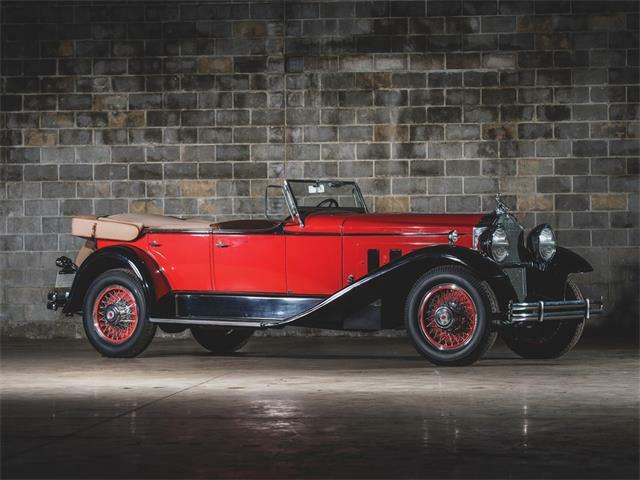 Nicotra, a noted collector of high-end cars, said he pursued ownership of the Benz for decades. 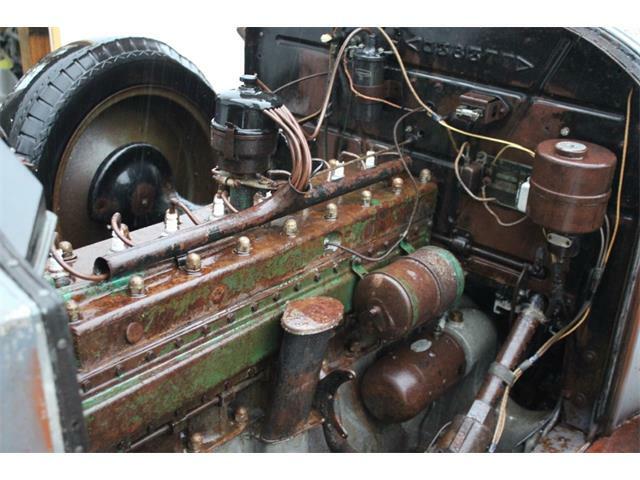 “The previous owner had it for 42 years, and I was trying to get it for 35 years,” he said. On the tour, he drove the car very gently, even gingerly, since it had only about 600 miles on it after its total restoration by German 300SL experts at H&K engineering in Polling, Germany. 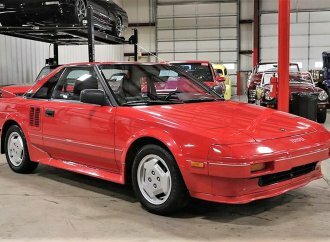 Once it is completely broken in, Nicotra said, he would drive it with a little more verve. But you could feel the power and purposeful nature of the car even as we cruised through the suburban streets. 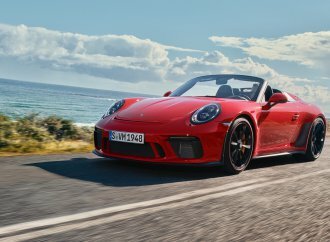 The transmission has the stout whine of a full-racing gearbox, and the ride is firm but compliant. 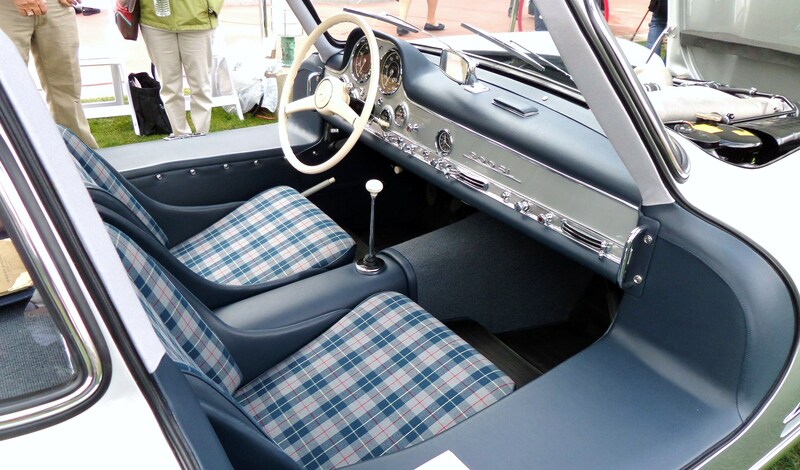 “This is the best driving and running gullwing I have ever been in,” Nicotra said in praise of the restoration pros who transformed it into a showpiece. When I first peeked under the gullwing passenger door at the very wide sill and snug space inside, I was worried how my too-tall frame would fit, or that I’d make an embarrassing spectacle of climbing aboard. Nicotra patiently gave me a quick lesson on how to enter the gullwing without blowing a gasket. Once inside, space was tight but acceptable. Then came the process of getting out once we arrived. 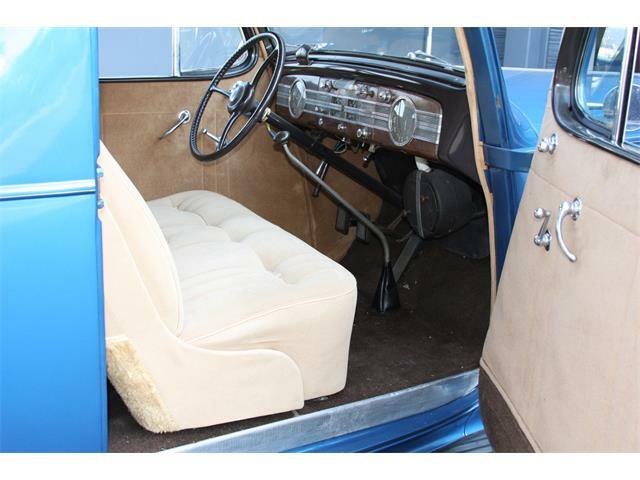 As the owner explained, I had to lift my rear off the seat and onto the sill, then grab my right ankle and guide it out. Once there, you simply stand and pull out the other leg. Being careful, of course, not to dent your head on the raised door. But it was a magnificent ride in a truly important automobile. 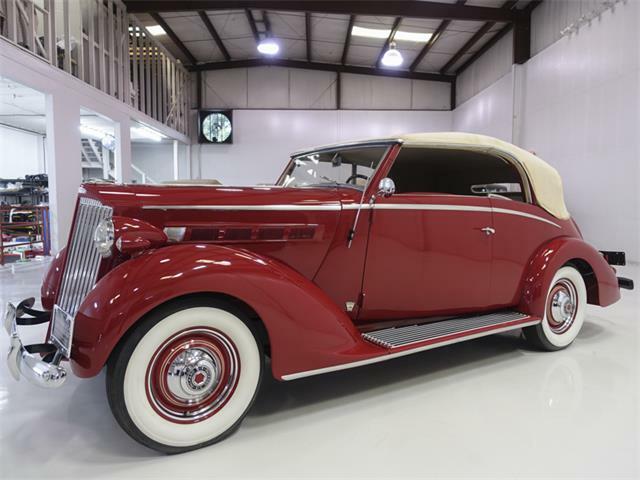 Matter of fact, this car is so important that the Historic Vehicle Association is making it an upcoming entry into that most exclusive club of vehicles, the National Historic Vehicle Registry and Historic American Engineering Record that is permanently archived in the Library of Congress. Only a handful of groundbreaking cars so far have been admitted for the permanent honor. The first one was the 1964 Shelby Cobra Daytona Coupe race car. After I rode with Nicotra to the Wright House, he left to return to Taliesin West where HVA officials planned to interview him and take measurements and photos of the gullwing in anticipation of announcing the honor at the Amelia Island Concours d’Elegance in March. 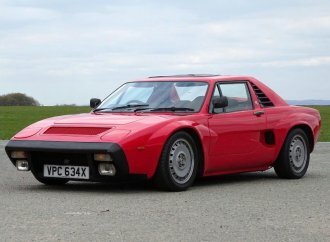 “This car just ticks off all the boxes,” Nicotra said.